Food doesn't come from a grocery store. All of our latest stories to help you learn more about where your food comes from. 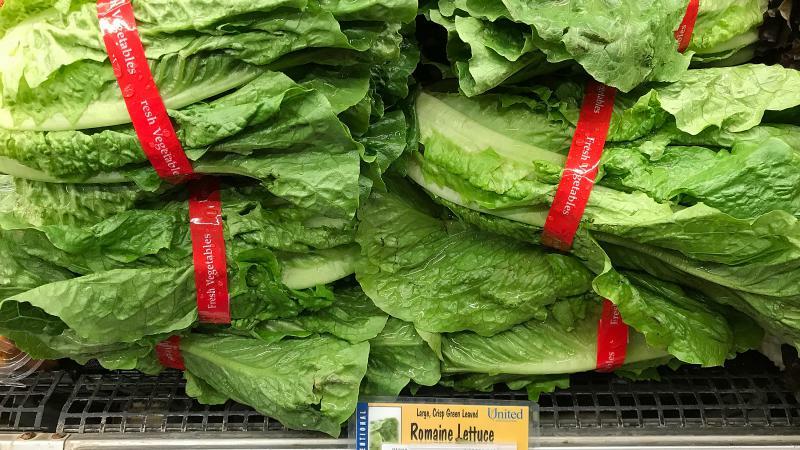 Cut Caesar salad off the menu this week: The Centers for Disease Control and Prevention says a multistate E. coli outbreak is underway, and romaine lettuce is to blame. Thirty-two people are sick, including 13 who were hospitalized; no deaths have been reported. An additional 18 people were sickened in Canada. Evidence points toward romaine lettuce as the likely source, but the CDC can't get more specific than that. This Thanksgiving, Don’t Forget To Pass The Cricket Pie? Eating crickets might improve the microbiome — the good bacteria found in the gut that wards off illness, according to a recent six-week study at Colorado State University. After 10 years of consistent gains, the number of immigrant families enrolled in SNAP, or the Supplemental Nutrition Assistance Program, fell by 10 percent in 2018. New, preliminary research presented this month at the American Public Health Association conference showed the drop was highest for for families who had been in the U.S for fewer than five years. It’s a reflection of what Harvest Public Media and other outlets reported earlier this year: that some families are choosing not to participate in federal benefit programs out of fear it could impact their immigration status. The coalition behind a lawsuit challenging Missouri’s new meat-labeling law asked a federal judge this week to stop the state from enforcing it. After nearly a century of prohibition, Canada became the first major economy this week to legalize recreational marijuana (though Uruguay was the first in 2013), and it has U.S. companies lining up. On a busy football Saturday, fans on both sides of the Iowa-Nebraska line streamed into a tiny grocery store to pick up hamburger, soda and chips. Store manager Nick Johnson, a third-generation store owner in far southwest Iowa, has long had a front-row seat to the local economy. Times have been tough since the recession, with lots of people losing their manufacturing jobs, though he says that it looks like some of those are coming back. And similar to the rest of the country, farm income is down thanks to low crop prices. Cargill Meat Solutions and a union have agreed to pay more than $1.7 million dollars to settle a case alleging that Somali-American Muslim plant workers were wrongfully fired in a dispute over prayer breaks. The settlement, which was announced Friday morning, came years after the late 2015 dispute with Somali-American Muslim workers at Cargill’s beef meatpacking plant in Fort Morgan, Colorado. 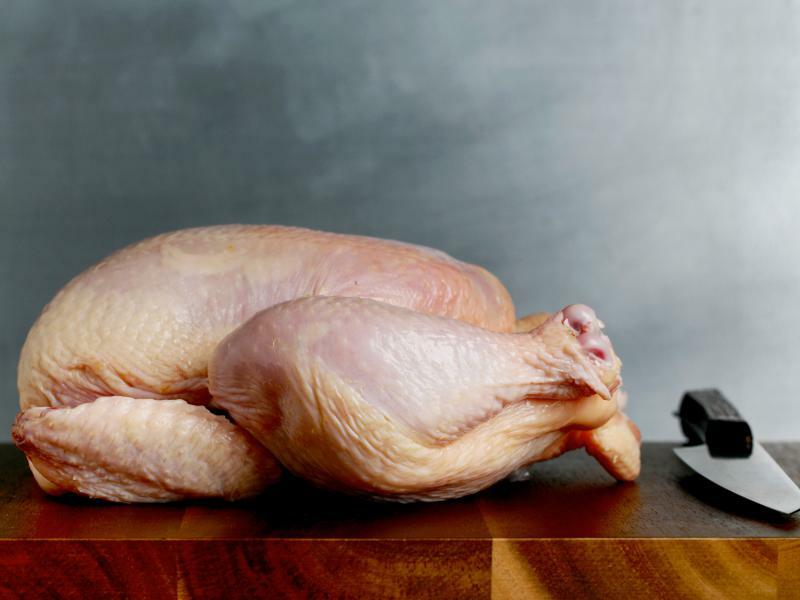 A salmonella outbreak stretching across four states sickening 17 people and resulting in one death has been linked to a popular brand of kosher chicken, according to the Centers for Disease Control and Prevention. Since last September, cases have been reported in Maryland, Pennsylvania, Virginia and New York — where the death occurred. The United States and Mexico announced this week there’s a tentative deal in their renegotiation of the nearly 25-year-old North American Free Trade Agreement, or NAFTA. A new book, "Eating NAFTA: Trade, Food Policies and the Destruction of Mexico," looks at the connections between the agricultural and food trade policies that the policy has brought about. The details of the federal government’s $12 billion aid package for farmers affected by trade disputes are out — and soybean farmers are the major beneficiaries.